Patrick Wisdom, who had two hits, drove in a run and scored two in his major league debut. KANSAS CITY, Mo. 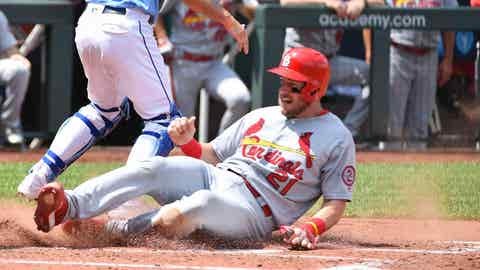 — The St. Louis Cardinals were a .500 team after a loss on July 25, but since then they’ve been the hottest team in the National League.